This affordable 7-piece package of drum bags makes it easy to transport your kit. The rugged, high-quality design protects your drums and makes moving easier than ever. These are fully padded bags with durable nylon straps. The heavy-duty construction includes zippered accessory pouches. A roomy 22 in. A great value bag for the drummer wanting to provide basic protection for their drums on the way to jam at the drum circle. 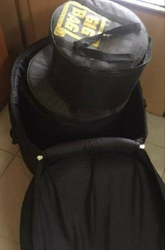 We are leading suppliers of drum bag. 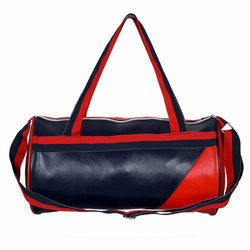 Banking on the skills of our qualified team of professionals, we are involved in providing Hand Drum Carrying Bag. Our innovative drum bags eliminate the need for costly, heavy and rigid fiber drum containers. We produce free-standing and functional drum bags that can be lifted by hand or forklift. Our bags are fully customizable, and take up a fraction of the weight required by standard drums, which translates to incredible efficiency and cost-savings in terms of shipping weights and compressibility.